I have a sweet little treat for everyone today! 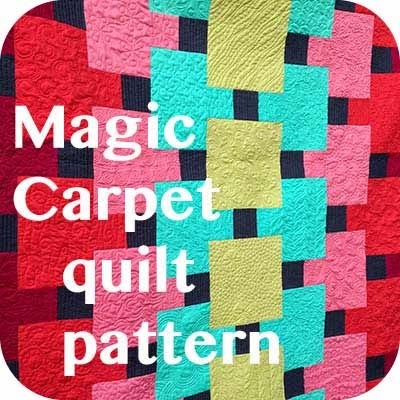 A free pattern you can download and whip up in (almost) no time at all. 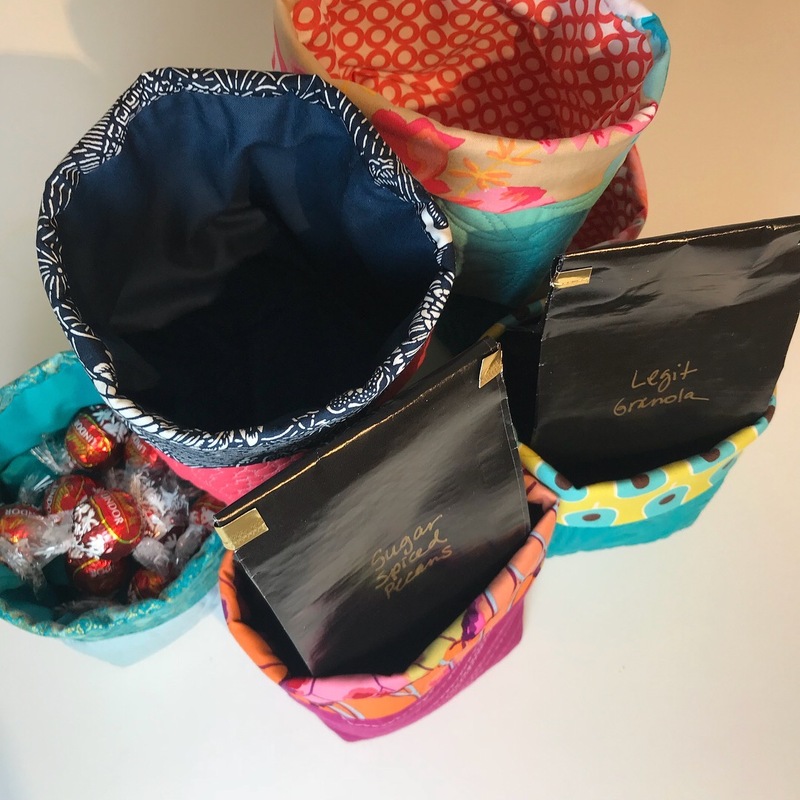 I love gifting these little buckets so I thought you might too! 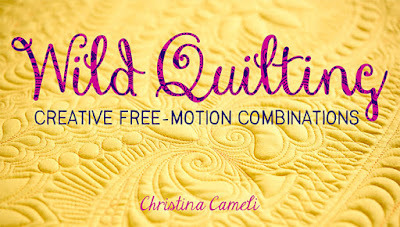 I wrote this pattern for anyone cranking out holiday goodies: you can make three at a time from one quilted fat quarter. 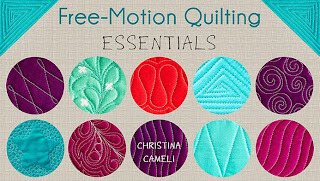 Or if you're like me, and you save every little quilted scrap, you can use any already quilted pieces you have. I sure do love turning a bit of practice quilting into something useful! 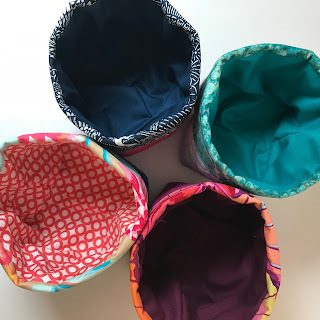 While I've had my pattern for a set of three Quilted Nesting Buckets for a couple of years, this small-buckets-only version came about because over time I've noticed I have given away all the small buckets from the nested sets I've made! I've given them filled with candied nuts, with my homemade granola, with chocolates, with craft supplies, with socks, with flower bulbs...any other ideas? They're an easy way to both wrap a gift and give a useful handmade container. If you're ready to jump in, grab a fat quarter and quilt it. 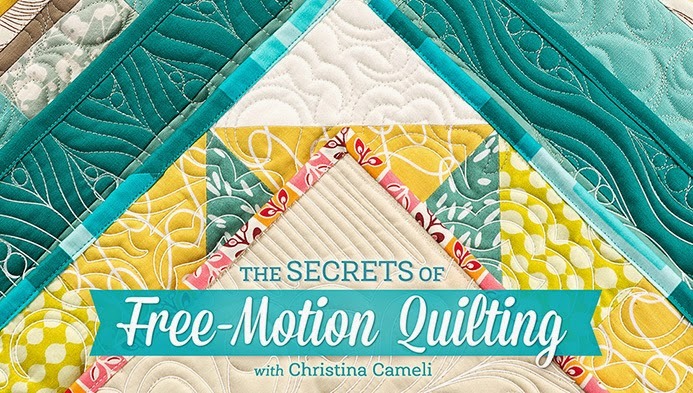 Hey....I wouldn't be seducing you into practicing your free-motion quilting would I? Bwahahaha, yes, I would. Free-motion teachers are like that. Sneeeeeeaky. 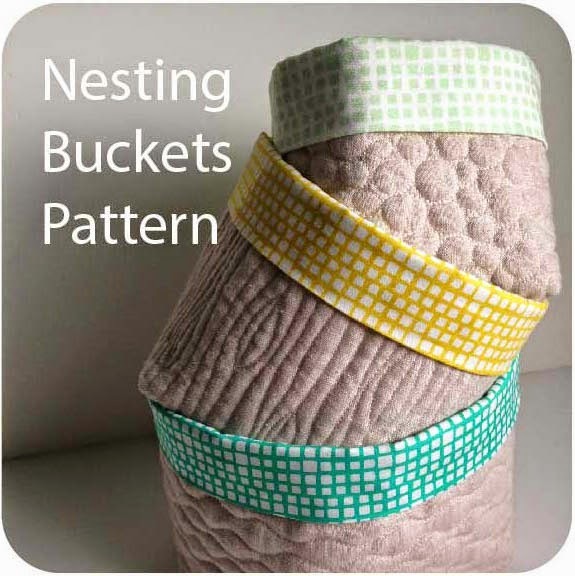 You can find the FREE Little Quilted Buckets pattern on my Craftsy page. Please make sure you pick the pattern that says "free" and not the one that says "$5" unless you want the pattern that has three sizes of buckets. So that's my holiday gift to you, my vibrant and crafty readers! May your holidays, and your buckets, be full and lovely. Thank you. I hope to try some of those! 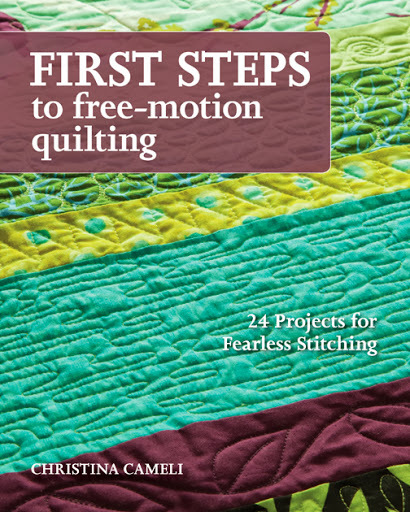 I learned free motion quilting by making these a few years ago! I use my buckets to collect selvedges. Now I have lots of Christmas gift ideas running through my head! Thanks! 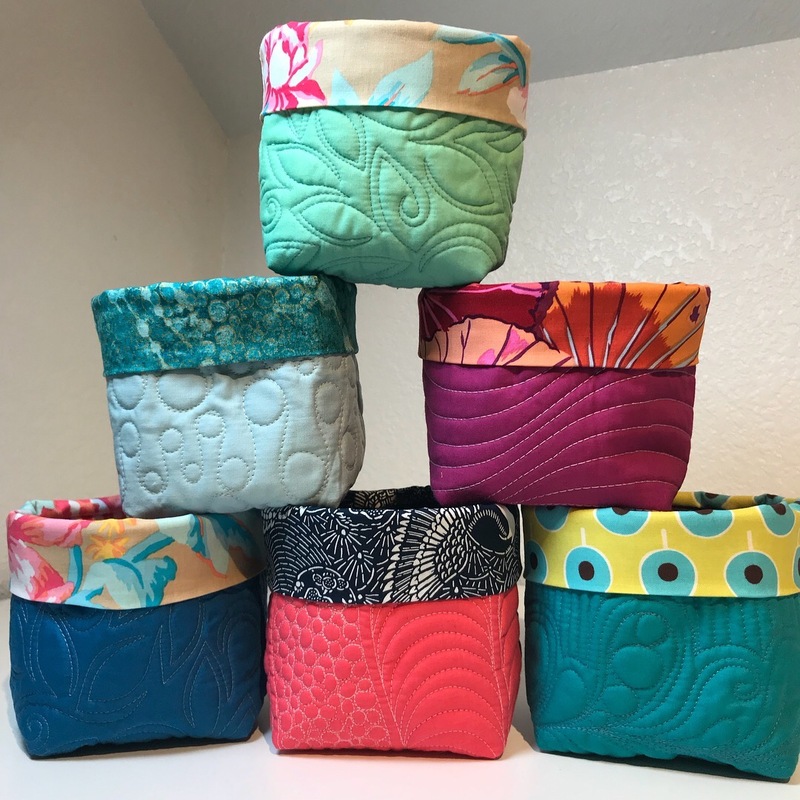 Love your buckets, made with those adorable quilted bits!!! Thank you for putting the pattern up as a gift. Thank you Christina ~ you are so generous! And, what a sweet video ~ got you right in my sewing room! These are wonderful! I will be making some up this weekend along with some bento bags I am making for the holidays. Thank you so much! Thanks, I downloaded the pattern. I love small projects to practice FMQ. Thank you! The little buckets are great. Thank you....just in time for me to make and fill to finish my Christmas gift list. What an adorable container! It's so nice of you to share this with everyone. Thank you very much! Wow I love it. I am so glad I watched the video as Imlove the way you attached the cuff. Thanks. I have most of your patterns/classes & love them! 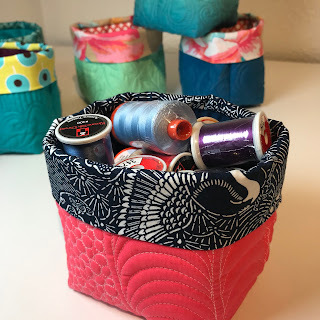 This is a good spin on the little thread buckets I've made and I love the idea of showing others that they can make something wonderful from their practise pieces too. Thanks for sharing! Thank you so much for the free tutorial and for creating a good use for those practice sandwiches! Thanks a lot! I will definitely sew some this Christmas, I have learned a lot from you. Hi and thank you for this gift. But, it wants to charge me the $5.00 - craftsy says your code is not good on this item. Maybe it's me, but you might want to check that out. Thanks for the pattern for your adorable buckets, watched the video and now am ready to use some of my orphan blocks. Thank you Christina! These will make sweet gifts for the holidays. I love this method. There's no need for a turning hole! Thank you! Thanks so much for the sweet pattern, Christina! Merry Christmas to you and yours! Hi Elissa, sorry you didn't see the free one. It's on there! There is also a $5 pattern for the three-sizes of buckets. Just choose the one that says "free". Happy stitching! These look like the perfect gift! The Snarky Quilter sent me here. Your buckets are wonderful. Thank you for sharing. Thank you so much, Christina, for the tutorial! I love the way mine turned out. 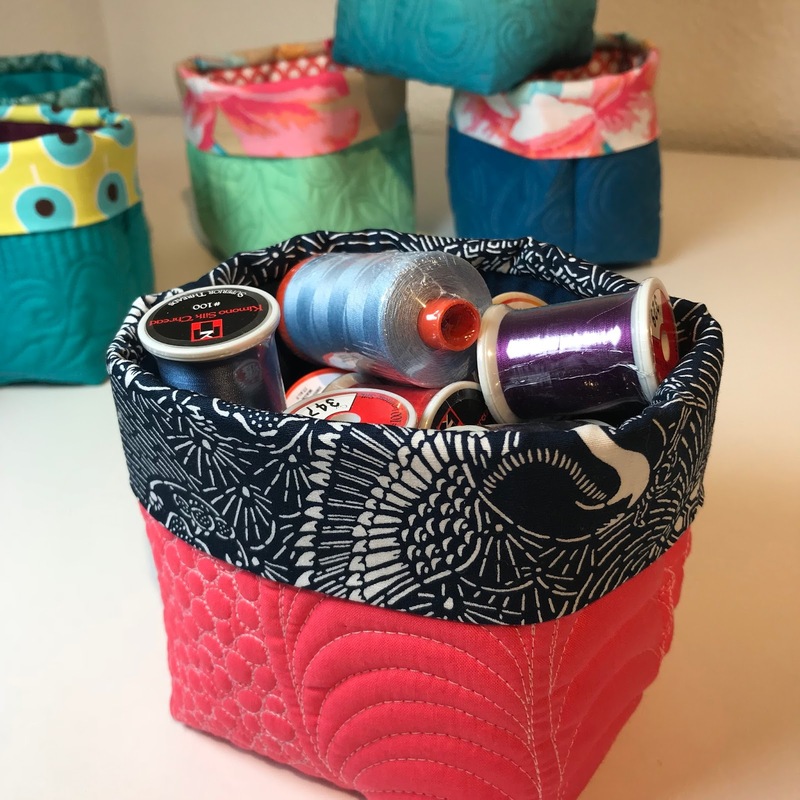 I call it a memory fabric bucket since I used a practice quilt sandwich. New project for me for 2018! Thanks, love it. Want to make them for my shelves for mittens, hats, gaiters. Might even make some for my potted plants! Thanks again for great directions. I'm just now setting up a new sewing space for myself which will be always out in plain sight, so I want beautiful things to display and still be functional. You just showed me what they will be! Baskets large and small will house my works in progress! My Bernina is going to get a workout! I understand about cold Portland, too - we left there 15 years ago for Florida, and this January are experiencing below freezing weather! At least it isn't raining! Living there was hard on a southern girl! Portland's, and Oregon's, beauty made it worthwhile for 3 months out of the year. I love this pattern. thank you for posting it. Ho do you choose your fabrics or do they choose you? Had so much fun making the little fabric buckets. I ended up making 5 for myself. I am now teaching my granddaughter to sew and we will be making these buckets tomorrow. 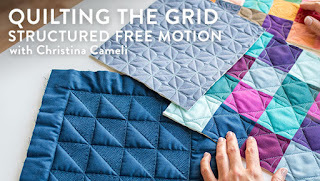 Quilting the Grid is now available!